First off - THIS YEAR DECOMPRESSION GOES UNTIL 3AM!!!!! FINALLY! 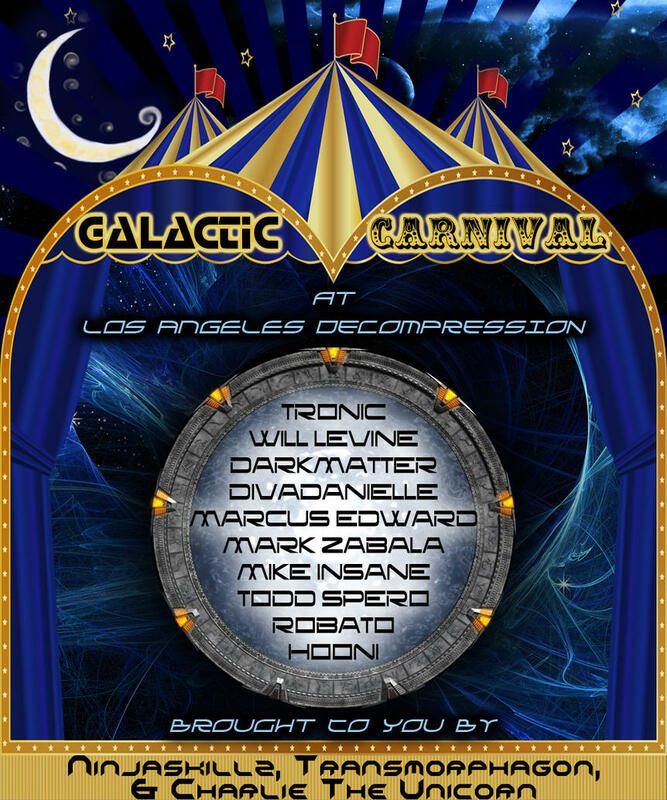 This is the Official Burning Man Los Angeles Decompression event. YOU are invited to experience the art, music and culture of Burning Man with a view of the downtown LA skyline. Immerse yourself in twelve hours of art, performance, live music, DJs, dancing­­­, theme camps, art cars, green technology, puppetry, circus, fire, and 2011 imagery. New Closing Time: So here is the dealio. We have to turn off amplified sound at 2am, but the crowd does not have to leave the site till 3am. So you can hang out, drum, and talk with friends till 3am at LA Decom this year. But all Amplified Sound will turn off at 2am. Children: LA Decom is an ALL AGES event. We encourage parents to have a good time with their kids. Please be responsible and aware of children around you. We can all have a safe and fun time together. Parking: We request that everyone park at Union Station on Alameda. The parking there is $5 and it is the safest place to park in the area. You can either walk from the train station 5 blocks or ride the Metro Gold Line North from Union Station to the China Town Station, just one stop up the line. The entrance to the event is approximately 100 yards from the China Town Station. Items Not Allowed In: Per the parks request, security will be searching bags before you can buy your ticket and enter the event. Please do not bring with you Illegal Drugs, Alcohol, Weapons, Explosives, Markers, Paint, and GLOW STICKS (glow sticks are evil). We would also prefer you not bring anything that leaves a lot of MOOP like feather boas. Pets: Your furry friends are permitted at the event, however they must remain on a leash at all time (state parks law) AND since this is a Leave No Trace event, you must pick up after your pet leaves something from their behind. (or any moop really that your pet leaves behind).